Dead Conversations: FAQ: Can Children See Ghosts More Easily Than Adults? 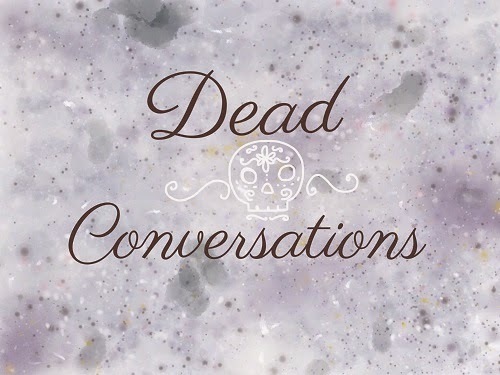 This weblog documents my experience as someone who communicates with the dead. I will share as much as possible without revealing the person or people that commissioned me to speak with their loved one or loved ones. FAQ: Can Children See Ghosts More Easily Than Adults? Yes. Absolutely. You've heard it in the movies and it's right, children are just more open to things. Some adults, like a patron of mine in September say they don't want to see spirits. The human mind is a great thing, greater than we humans know at this point. After puberty, from my experience and what I've read, a mental barrier begins to build up, a barrier that perhaps mediums and psychics don't build up, or they can control when it's up or down. Adolescents are sometimes more susceptible to psychic attacks (spiritual attacks etc) during this time for some reason, perhaps due to this process of barrier-building. Back to my patron. She, we'll call her Sally, told me in a fearful voice, 'please I don't want to see my sister... I just want to talk to her through you..'. Her sister nodded and shrugged, as if saying, 'of course, I know she's scared of me' - she later communicated to me that she could sense when people didn't want to see her. She'd communicated with her brother, who was OK with seeing her. She was one of the more vibrant spirits I'd ever seen, and when Sally drove up to my house, I could see the spirit in the back of the car like a corporeal person. I was about to ask Sally who was with her, looking behind her, when I saw that her sister was beginning to fade a little bit. Ahh, my mental process went, Ghost. Many other spirits that have communicated with me tend to phase in slowly, to make sure that I'm not scared of them. Some spirits, however, scare the living tar out of me by popping up skinless and broken-jawed, flesh hanging off their bones. (Doesn't happen all the time, but a good quarter of the time, spirits like to scare me because they think it's funny.) I don't get as scared as I used to, you build a tolerance for their hyjinks. Bottom line, kids are more open. They are less jaded by the world, and more friendly.. well, usually. They are also full of energy, and can unwittingly channel that energy into a beacon for spirits. Spirits tell me that those children are like big mushroom clouds of white hot energy with an exterior layer of light cyan, hard to ignore, easy to notice. Some children, I'm told, glow an eerie pale yellow/gold twinkling light, those kids are usually autistic. Spirits LOVE autistic children, as they are the most open beings to spiritual energy, as they more than half live in the spiritual world. But I want to give autistic kids their own post, as every single one I have met has had such an amazing spiritual energy - it's palpable and warm, and a little overwhelming. So this big beacon of blue and white light draws a lot of spirits to them, so they have a higher probability of drawing a strong spirit to them... Therefore they have a higher probability of seeing a spirit. Weak spirits cannot manifest in any way. The best they can do is whisper through static at the best mediums out there. Normal spirits can talk easily to mediums, and can manifest in small ways - colder air, hotter air, whispers, dreams, knocking over something light, making electronics flicker a bit.. etc. Strong spirits can manifest - those spirits are the ones that you can hear, see, and sometimes even feel (as one of my patrons felt very intimately, which I will be talking about tomorrow for V-day). Of course there are varying degrees of strength and ability. Point being: the more ghosts you attract, the more of a chance you have at seeing a big cahuna. More to come on children and ghosts later. Mothman Omens: Can Spirits see the Future? Want to Donate? I appreciate your help! Thank you for linking to my article, so I could follow back and see this story about Pete!!!! Read the Article Here My absolute favorite is the paragraph above the photo of Pete himself. Infringe upon no one's beliefs.. wonderful. Well said, I would have quoted the passage but hope readers will be curious enough to go see if they haven't already. E.L Luciella. (c) . Awesome Inc. theme. Powered by Blogger.